WeatherElement is a user-friendly plug-and-play solution that allows even the most basic computer users to connect weather stations to their home or business network and view realtime conditions within minutes. WeatherElement.com is based in San Luis Obispo, CA, along the beautiful California Central Coast. We also have engineering offices in Australia, and cellular data servers in the UK. 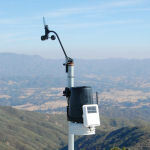 Started in 2008, WeatherElement.com's main goal has always been to give anyone within range of the Internet, whether wired, wireless, cellular or satellite, a plug-and-play-easy way to send their own weather station's local data to an attractive, easy-to-use web page.